I’ve been gathering a lot of bathroom inspiration on Pinterest this week. 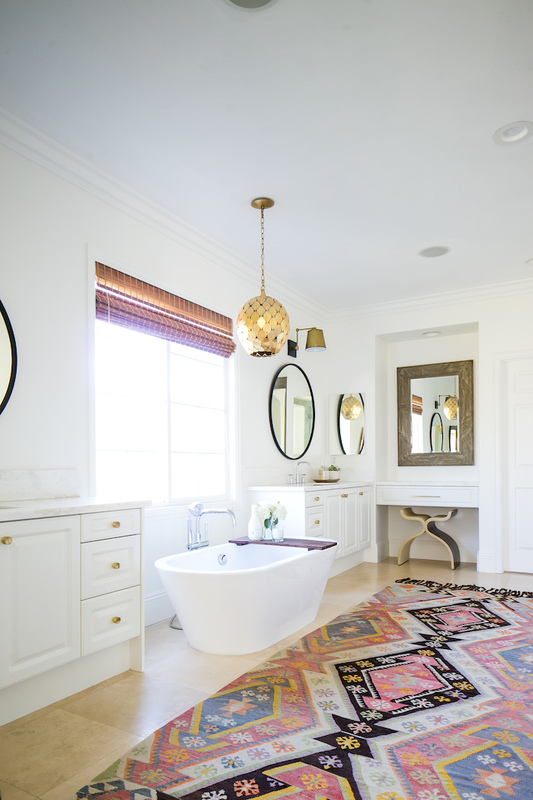 There are so many beautiful design trends, from tile statement walls to bold area rugs. Check below for some of my favorites! Design by Mindy Gayer Design Co.